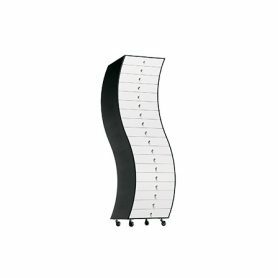 Side is the chest of drawers designed by Shiro Kuramata, a Japanese designer who revolutionized the design world in the 1970s. 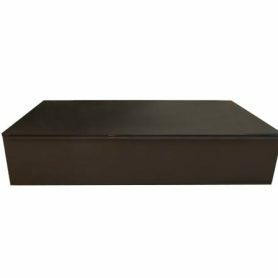 An unmistakable product, which will give your spaces a special charm with a vintage flavor, ideal for the bedroom, the office or a modern living area. Every detail is thought, such as the wheels placed under the base, in metal and black plastic and the knobs, made of brushed steel. Fabric Lamp by Cappellini is a suspension lamp designed by Marcel Wanders. 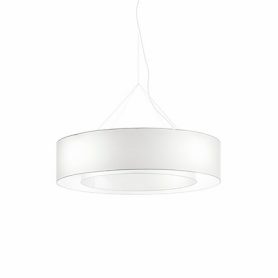 Simple but original design, it is a perfect lighting element for furnishing large rooms. Cappellini is an Italian company from Carugo that has been operating in the design furnishing sector since 1946. 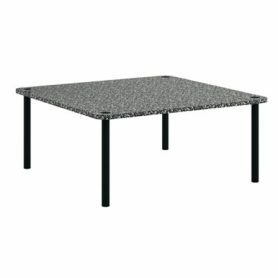 Kobe Coffee Table by Cappellini is a small table made of precious white and black Corian marble that seems 50s grit tiles. It has a simple shape and finishes that resemble Japan (hence the name Kobe). 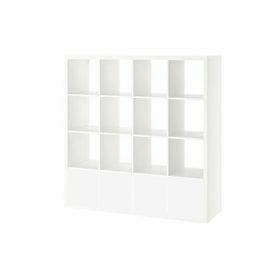 Cappellini is an Italian company in Carugo that produces design furniture since 1946.